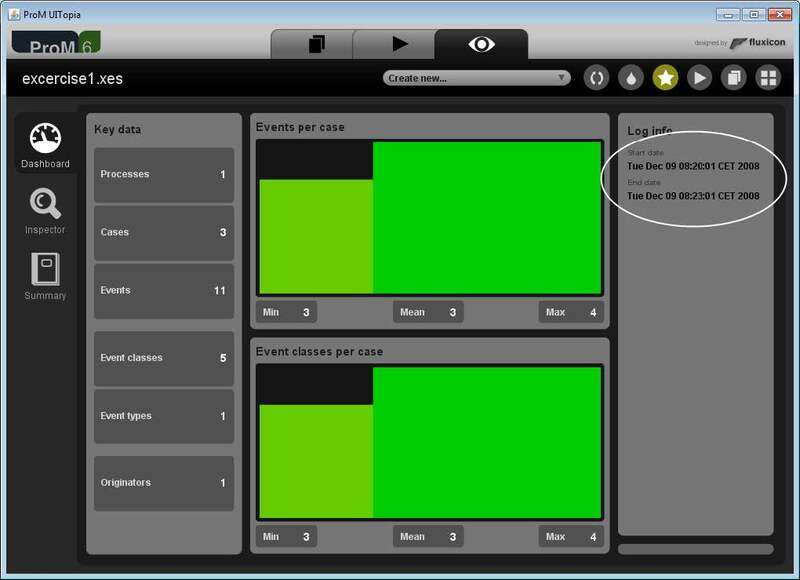 See the ProM tutorial for an explanation on how to import event logs into ProM. 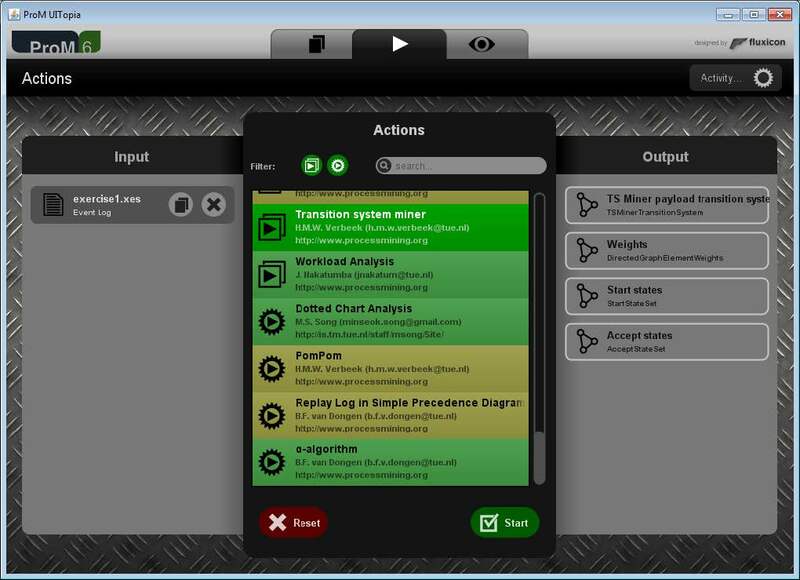 On the right hand side of the log visualization dashboard, as shown in the figure below, the start and end date of the event log is provided. The answer is from 9 December 2008 8:20:01 CET until 9 December 2008 8:23:01 CET, or in a timeframe of 3 minutes. 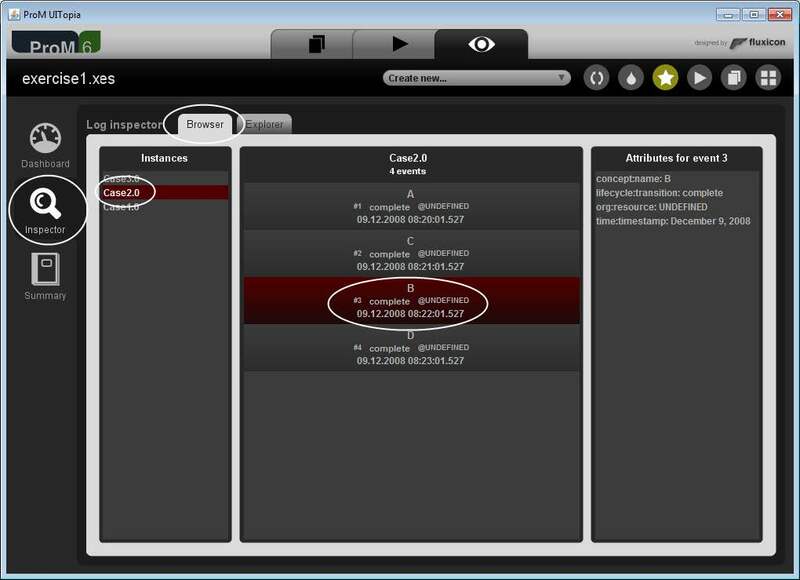 By inspecting case2.0 we can look up the occurrence of event B and we can see that this event occurred on 9 December 2008 8:22:01.527 CET and that is was executed by UNDEFINED, as is shown in the figure below. 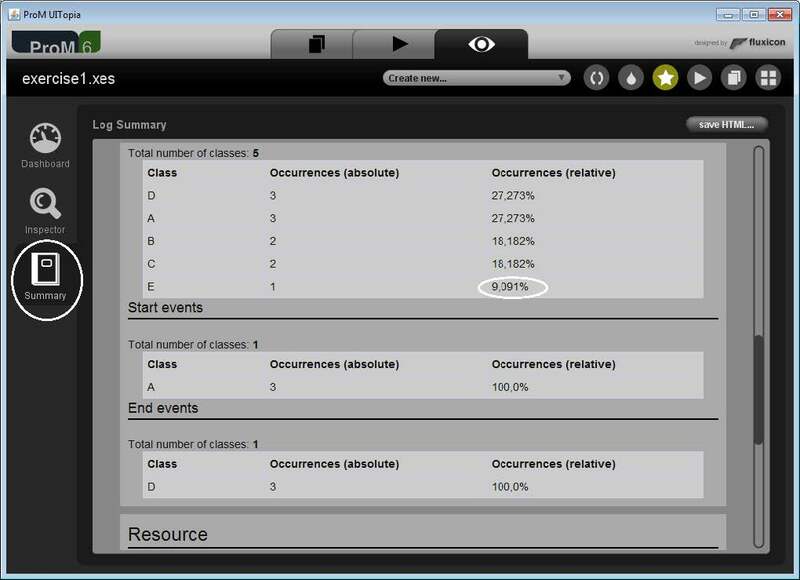 The relative occurrence can be found in the log summary and indicates of all events, how many are of E. In our case 9% of the events in the event log is E, as is shown in the top figure below. 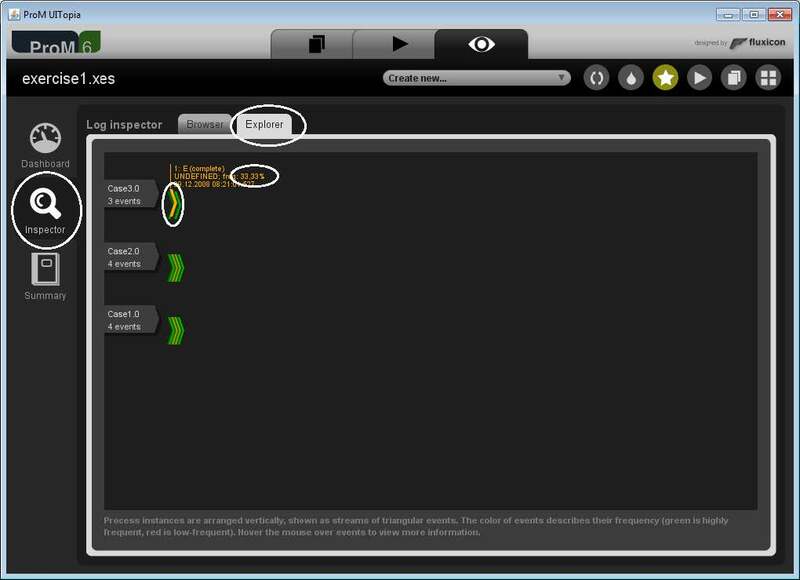 The frequency of event E can be found by going to the explorer mode in the inspector. As we can see in the bottom figure below the frequency of E is 33.3% which means that event E occurs at least once in one third of the traces in the event log. 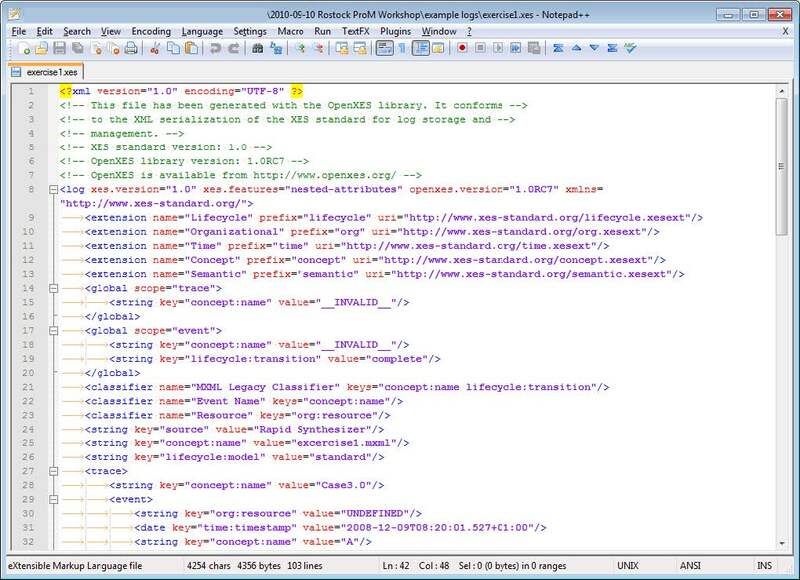 If you open exercise1.xes in a text editor with XML syntax highlighting you get something like the figure below. 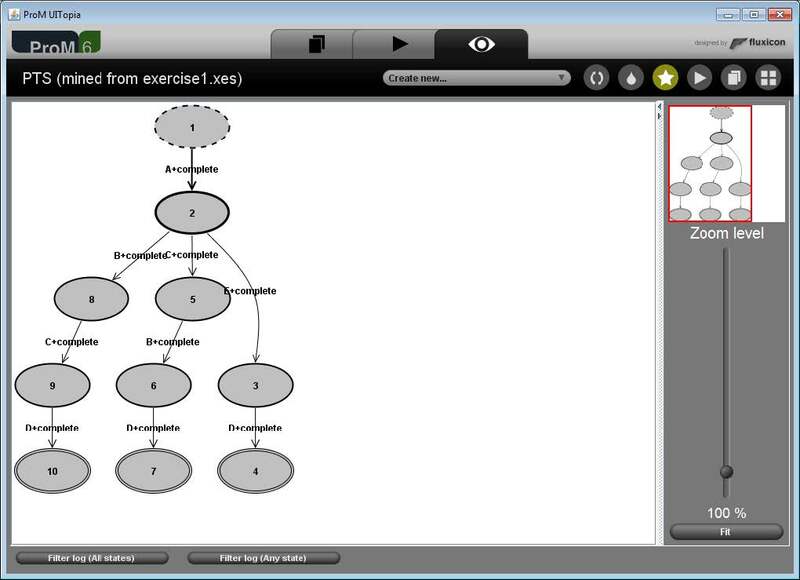 See the result of the Transition System Miner in the figure below. The top figure below shows how to start the Transition System Miner, the correct settings are shown in the mdidle figure below. The expected result is shown in the bottom figure below. 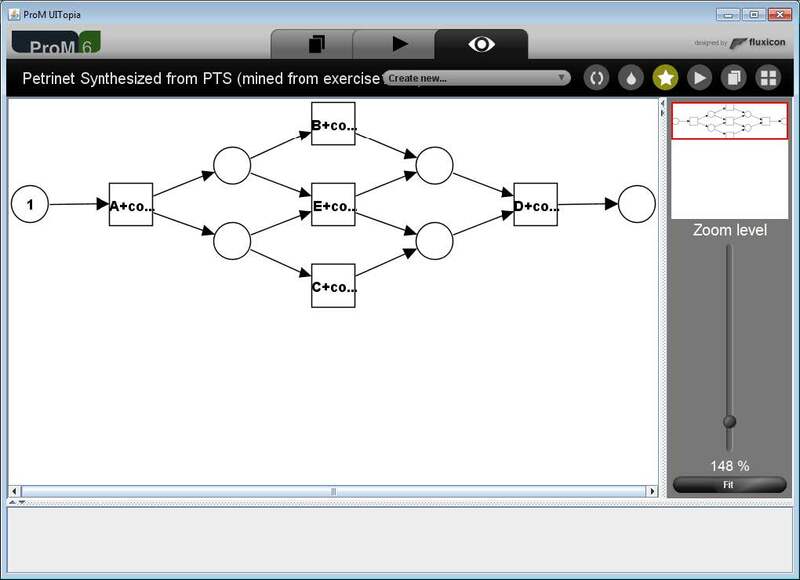 The resulting Petri net is shown in the figure below.